A 20-year-old Bethune-Cookman University student was arrested over the weekend after a loaded AR-15 assault rifle was discovered on campus, in direct violation of the university’s policies, authorities say. Ronald Jacques Jr. was taken into custody Sunday night after campus security noticed a vehicle illegally parked. It was then that officers noticed the weapon in plain view on the front passenger seat, WESH-TV reports. Jacques, who was in a dorm at the time of the discovery, later came out and admitted that the vehicle was his and that he had knowingly brought the rifle on campus, authorities say. Police said they also retrieved ammunition and a shell casing from his pocket. A judge raised Jacques’ bond from $2,500 to $10,000 after a court appearance; meanwhile, Jacques’ future at the university remains uncertain after he was suspended and removed from campus pending a disciplinary hearing. “The student involved in this incident has been suspended and removed from campus pending a disciplinary hearing. 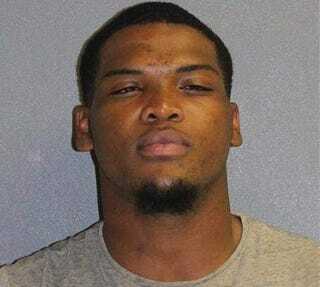 The hearing, which will take place in two weeks, will determine his future with Bethune-Cookman University. B-CU adheres to a strict, no-guns policy on campus. The safety of our students, faculty and staff is our No. 1 priority at B-CU,” the university said in a statement.